Many roulette enthusiasts seek different ways to improve their betting choices and eventually, make a profit. If you are among the players who are looking for a solution which can help them minimize their money losses to a large extent, it is likely to bump into a betting system. Nowadays, it is possible to find so many betting systems that offer an advanced plan for your wagers. 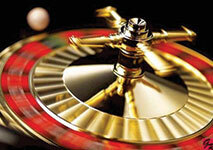 Almost every betting system is applicable in roulette and it can be very useful under the right circumstances. What is more, originally most systems of this type have been created to be used in this game only. However, as some other casino games such as blackjack and baccarat are growing in popularity, it is not wonder that these systems can be also applied in them, providing that they are adjusted accordingly. One of the most well-known system of this type is the so-called Fibonacci betting system. Let’s take a look at some of the things that set it apart from the rest of the betting systems and what it takes to apply it in roulette successfully. The origins of this betting system can be traced back to the 12th century when a prominent mathematician from Italy published the notable Book of Calculation (Liber Abaci). Leonardo Pisano Bigollo, also known as Leonardo Fibonacci, was one of the most famous and gifted mathematicians during the Medieval period. The aforementioned book was published in 1202 and it gained popularity in Europe so much for several reasons. One of them was the popular Fibonacci Sequence of Numbers which was described in the book. His many achievements were regarded as major breakthroughs in the main areas of mathematics and not only. Another thing which you should know about this betting system is that it is a negative progression system and as such, it calls for increasing your stake when losing and decreasing it when winning. The idea behind every system of this type is that since the likelihood of experiencing a long losing streak is fairly low, when players win, the amount will compensate for their previous losses and sometimes they can even make a small profit, too. In general, the Fibonacci betting system is considered to be more complicated due to the Fibonacci Sequence that some players find hard to apply while playing roulette. However, once you get used to it, the system becomes quite straightforward. When it comes to roulette games, the Fibonacci betting system is usually used for outside bets that pay even money. In order to be able to apply it, you have to be familiar with the Fibonacci Sequence which is the reason why we introduced you to it earlier. Every number from the above-mentioned sequence indicates the amount of the bet that you need to place at some point. Thus, in order to be able to use this system freely while playing, it is recommended to memorise it. Since the amount of one betting unit is not pre-set in this system, you are given the chance to determine it according to your personal preferences and most importantly, according to your bankroll. You are required to start by placing exactly one betting unit as this is the beginning of every betting cycle. In case that you lose, you are supposed to proceed by wagering the respective following number on the sequence. Let’s assume that one betting unit is set to $5 and that the first two outcomes of the spinning wheel are losses for you. In this case, you should wager two betting units as the third number on the sequence is two. As a result, you are supposed to place a $10 bet as one betting unit is set to $5. You are required to continue following this pattern until you win. The more you lose, the larger the size of your bet will be. As you can see, this system calls for more rapid increase of your stakes. If you are on a losing streak and let’s say, you lose five times in a roll, you are required to increase your next wager with five betting units. This is the reason why you should be extra careful when you determine the amount for one betting unit. If you set an amount which doesn’t correspond to your available bankroll, you will most likely run out of money before you manage to recoup your losses. Also, bear in mind that one betting unit is the least amount that you have to wager if you use this system. So far we’ve illustrated how you should proceed if the worst case scenario occurs and you experience a losing streak. Now, let’s take a look at the opposite case and assume that luck is on your side this time. Whenever you win, in order to calculate the amount of your next wager, you need to go back two numbers. For instance, if you have won after you have bet five betting units, your next bet should be equal to the amount of two betting units. This is the pattern which you should follow every time you win, unless you have finally managed to make a profit. In such cases, it is best to start from the beginning of the sequence. In addition, there is one more case in which you should start from the beginning and this is when your first bet wins. It is time to take into account the pros and cons of this betting system in order to draw the final conclusion whether it is beneficial or not. Let’s start with the benefits that this betting system has to offer. Perhaps, one of the biggest advantages it has is the fact that it gives you the chance to increase your winnings over a short period of time. This type of betting systems make roulette very exciting and interesting and they help you enjoy the game even more. Even though this system requires you to know the Fibonacci Sequence by heart in order to use its plan, bear in mind that if you play roulette online, you can simply open it in another tab. As you might have noticed, this betting system also has several major drawbacks which put off some players from using it. First of all, its plan is rather complicated which makes it unsuitable for inexperienced players. Also, if you opt for this system, you should be extra cautious with your funds and keep track of your winnings and losses all the time. When it comes to negative progression betting systems, it is essential to have good money management skills and to set loss limit and win goal. Avoid using this system if you are on a tight budget since if you happen to experience a losing streak, you can run out of money in no time. To sum up, the Fibonacci betting system is one of the most interesting yet complicated betting systems that you can apply while playing roulette. It can certainly help you fetch some profit and enjoy the game even more. However, bear in mind that if your bankroll is rather limited, it is best to refrain from using this betting system as you are unlikely to make a profit. What is more, if you experience several consecutive losses and you lack the funds to continue playing the game, this will cause you to leave the casino with empty pockets in no time. Thus, take your time to get familiar with the pros and cons this betting system has and only then decide whether it is your best option.